Skincare options seem endless these days so here are our Top 3 picks that everyone should be on and why. Morning Antioxidant Serums: Skinceuticals CE Ferulic/Phloretin CF – This antiaging and collagen boosting serum is a potent antioxidant which protects skin against free radical damage caused by UVA and UVB rays. Free radical damage leads to visible signs of aging skin. CE ferulic is best for normal to dry skin types, while Phloretin CF is for normal to oily skin types. We call this liquid gold because the first time you use it, you will notice your skin glow with brightness, and it protects against photodamage. Hyaluronic acid: HA 5 by SkinMedica or HA Intensifier by Skinceuticals – Both of these are great for any skin type and promote smoothness, plumpness and firmness of the skin and is an excellent skin hydrator. HA5 is showing promising results in helping Botox/Dysport last longer and is a great compliment to anyone who has fillers. Sunscreen: Physical Fusion UV Defense SPF 50 – Again, good for all skin types, this sunscreen is mineral based and is a physical sunscreen as opposed to a chemical sunscreen. The color spheres in this lightly tinted sunscreen is effective in protecting against UVA and UVB rays while providing a radiant finish. We always use the analogy that running a marathon is amazing, but it’s what you do every day to train for the big race. Botox, Dysport, fillers, microneedling and chemical peels are wonderful things to do, but picking the right skincare products will not only enhance your results but help with the fact that we lose 1.7 % of our collagen every year starting at age 25. By the time we are in our 50’s, we have already lost 50% of our collagen. Collagen is the most abundant protein in our bodies and as we lose it, we get fine lines, wrinkles, loss of skin elasticity and decreased hydration. Recent research also shows how the blue light from our phones, laptops and computers are affecting our skin in harmful we ways. We recently brought on Skinmedica’s Lumivive System which is proven to diminish visible redness, skin discoloration and improve overall radiance of our skin. This day and night system protects against blue light damage and pollution and is another must have for everyone. You don’t have to throw away all of your over the counter products, just pick a couple research driven medical grade skincare products to enhance the items you have to help you get your glow on. 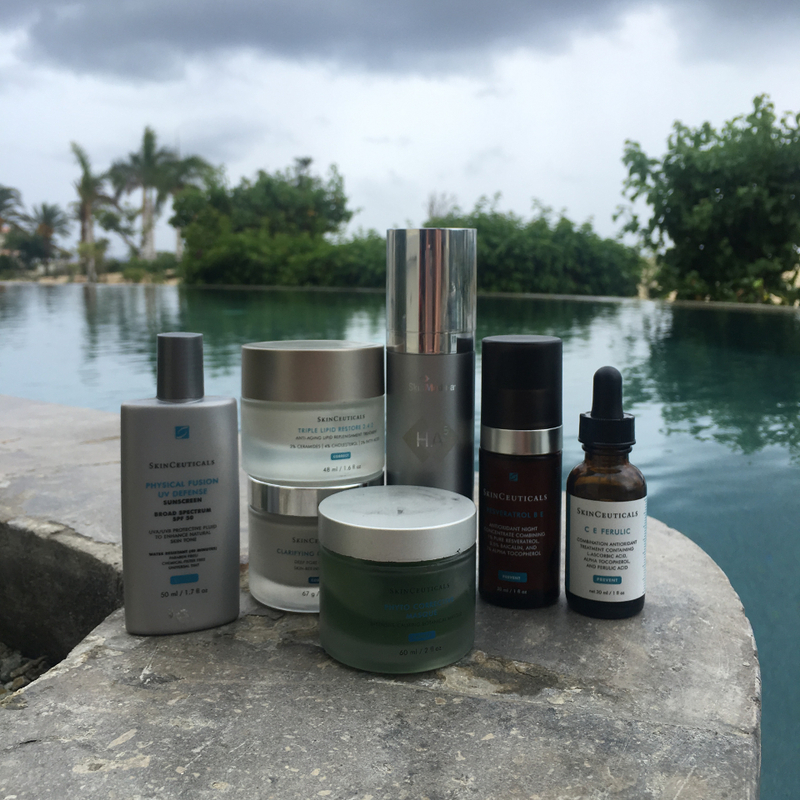 We carry other incredible products from Skinceuticals and SkinMedica, so ask us what skincare items you should be on at your next visit. Mention this blog post through March 31, 2019 and receive 10% off your first or a new skincare purchase.